While living on a tropical island feels like vacation a lot of the time, the daily grind sets in, no matter where you are. Rock fever is a real thing, and we’ve been planning to get to the southern Caribbean for nearly our entire time on St. Thomas. 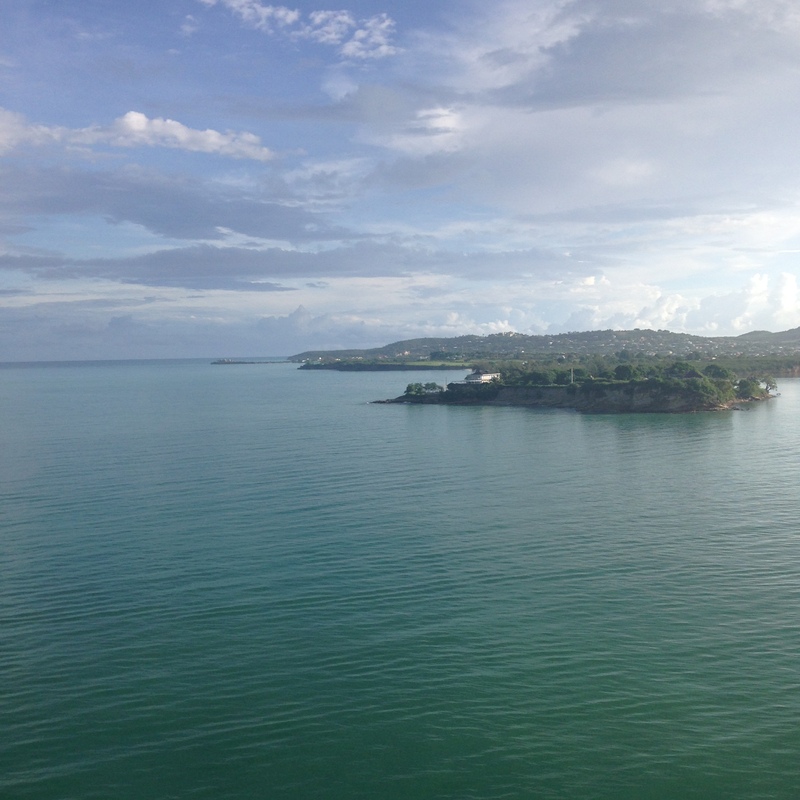 The time finally arrived, and we flew to San Juan, Puerto Rico to set sail on the Adventure of the Seas, a Royal Caribbean ship. For a whole week, we didn’t have internet or phone service, and it was glorious. We’ve cruised a lot before and really enjoy it. Our favorite part is being able to see lots of different places without having to move our stuff or travel to a new hotel, etc. 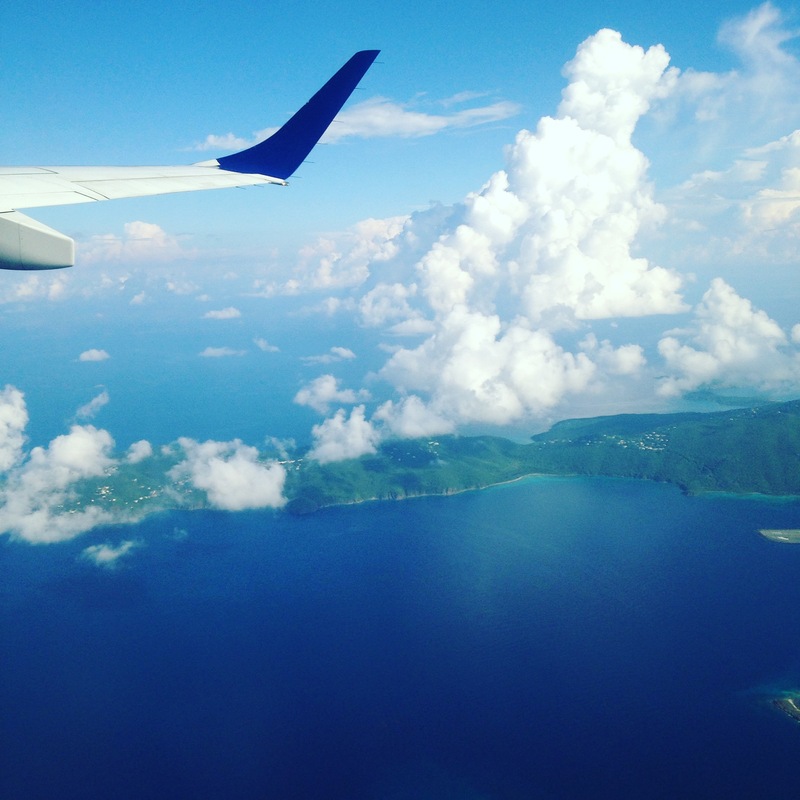 The Caribbean isn’t easy to get around in, and it was much cheaper to take a cruise to see these southern islands that it would have been to try and fly there and stay. 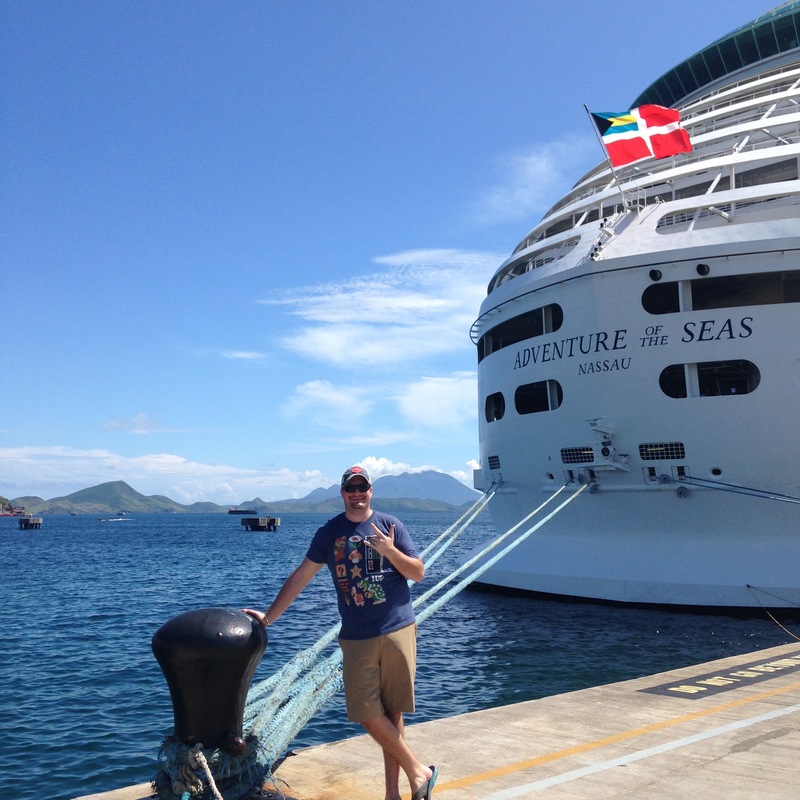 On this trip, we visited St. Maarten, St. Kitts, Antigua, St. Lucia and Barbados. Flying to Puerto Rico. I’ll never get tired of seeing the islands from the air. 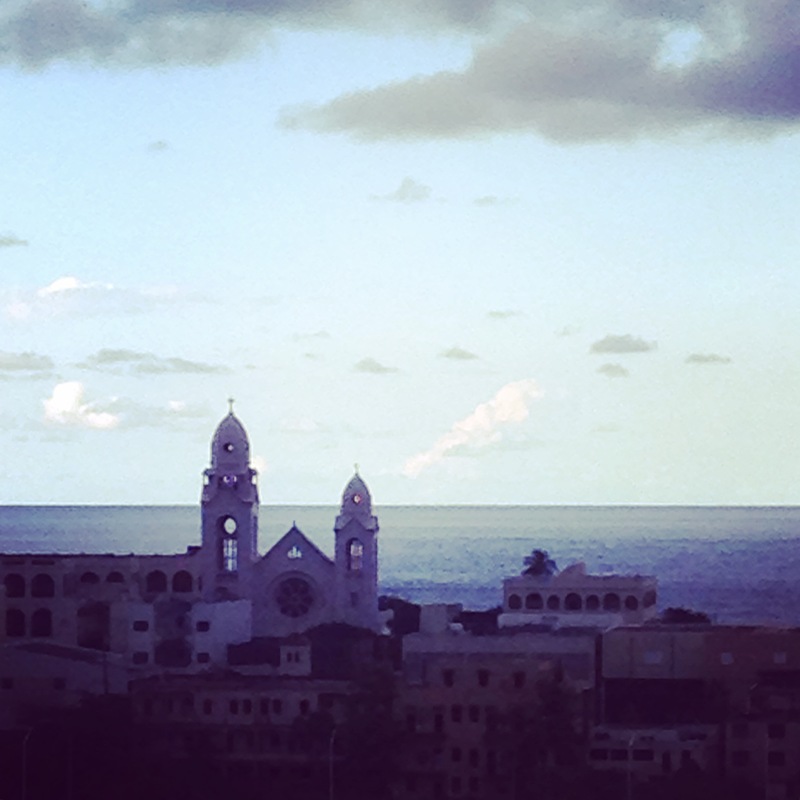 A view of Old San Juan from the ship. I always wondered why anyone would go on a cruise and then not get off the boat while in port. Welp, we were those people this time. We had an absolutely CRAZY week before our cruise, and were exhausted. Since we had been to St. Maarten a few years ago (on the cruise that ultimately determined our island fate), we decided to sleep in and get some quiet time on the ship with fewer people. 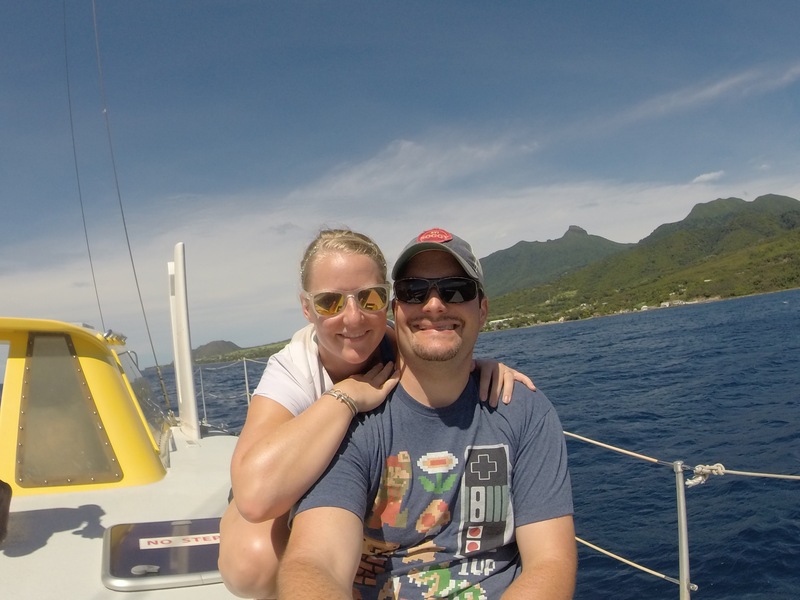 This was AFTER we found out that the ferries to St. Barths weren’t running on a schedule that would get us there and back in time to get back on the ship. 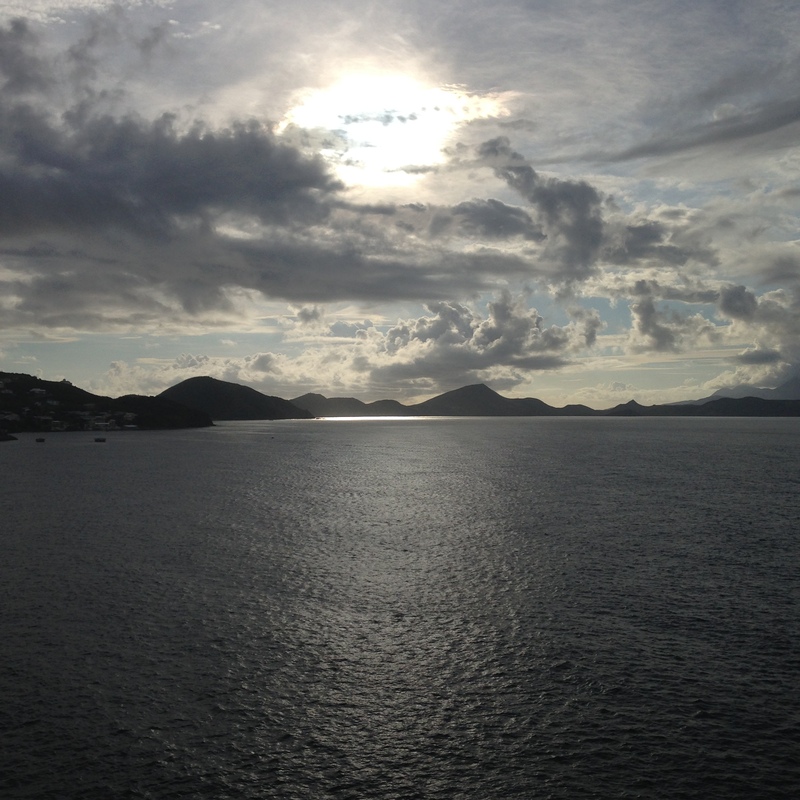 I was SO BUMMED because St. Barths was one of the islands I was most excited to see. 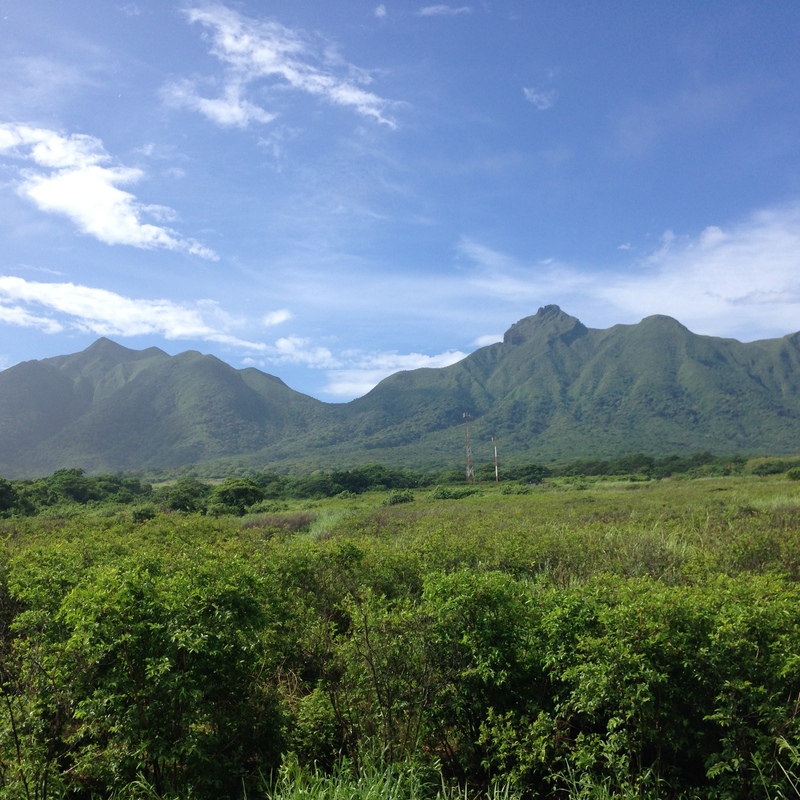 St. Kitts was simply beautiful. The people were so kind and we enjoyed a scenic rail tour of the island and sailed on a catamaran around the southern coast. Black sand beach, St. Kitts northern coast. Our train ride was everything you’d expect a Caribbean train to be. A little rusty, a little rocky, and a lot of fun because of the people. The tour took us over bridges that were barely wider than the train itself. But with an open bar and friendly service, you don’t really mind. 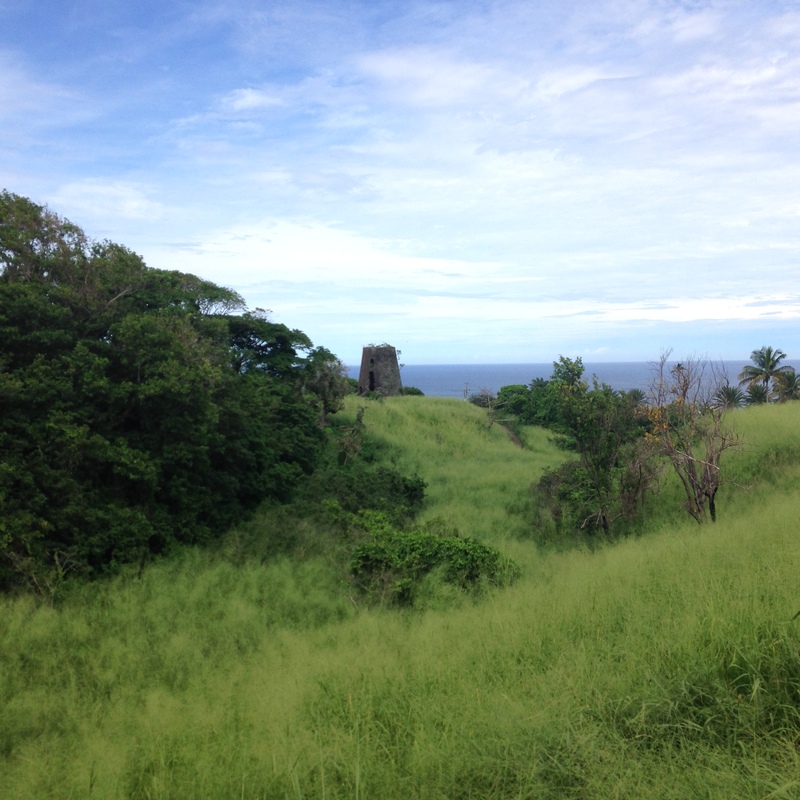 Sugar mill ruins dot much of the coastline on St. Kitts. Dan is pretty at home on the water. 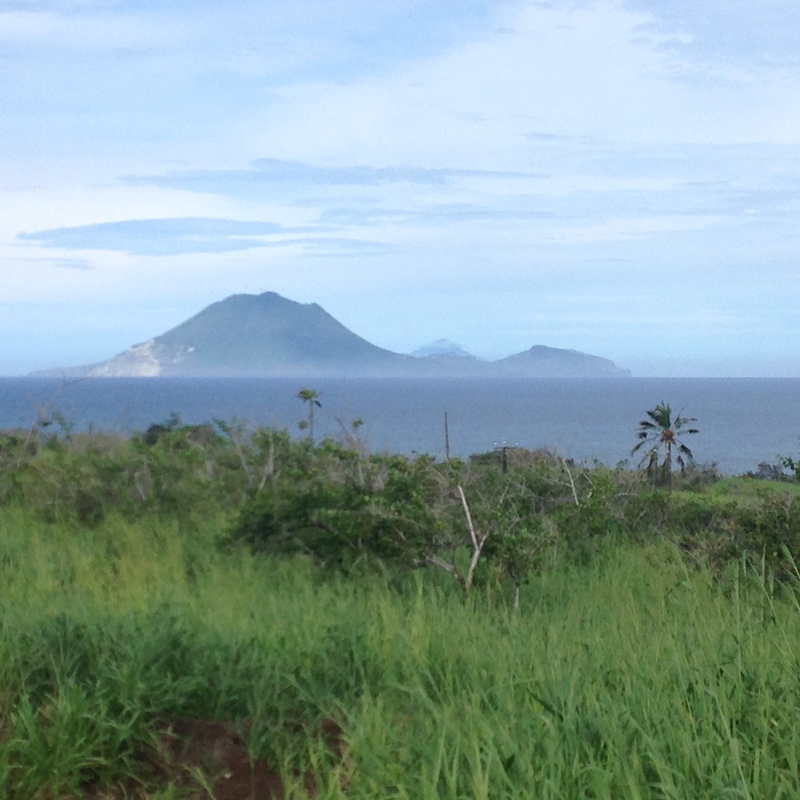 St. Kitts’ sister island Nevis is in the distant background. 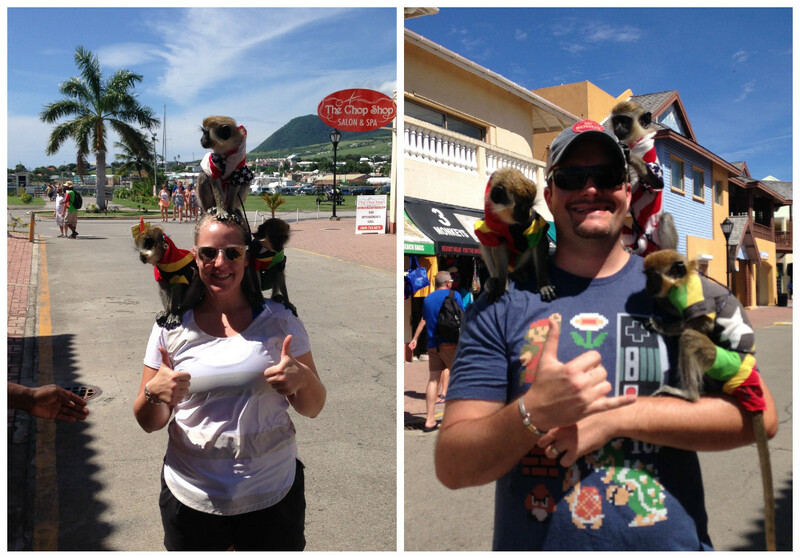 There are now more Green Vervet Monkeys than people on St. Kitts. The peddlers near the cruise ship will take your photo with them for a few bucks. They are super cute, but really only sit long enough to get treats. 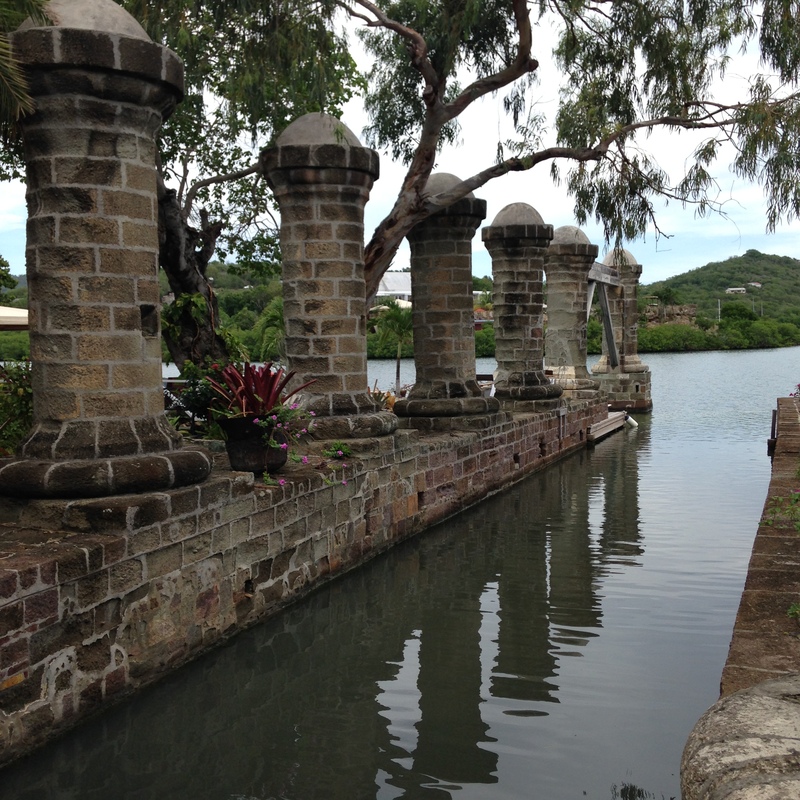 In Antigua, we took a short tour of some of the historical military sites. This wasn’t our favorite island and the weather wasn’t fantastic later in the day, so after our tour we got back on the boat to relax. 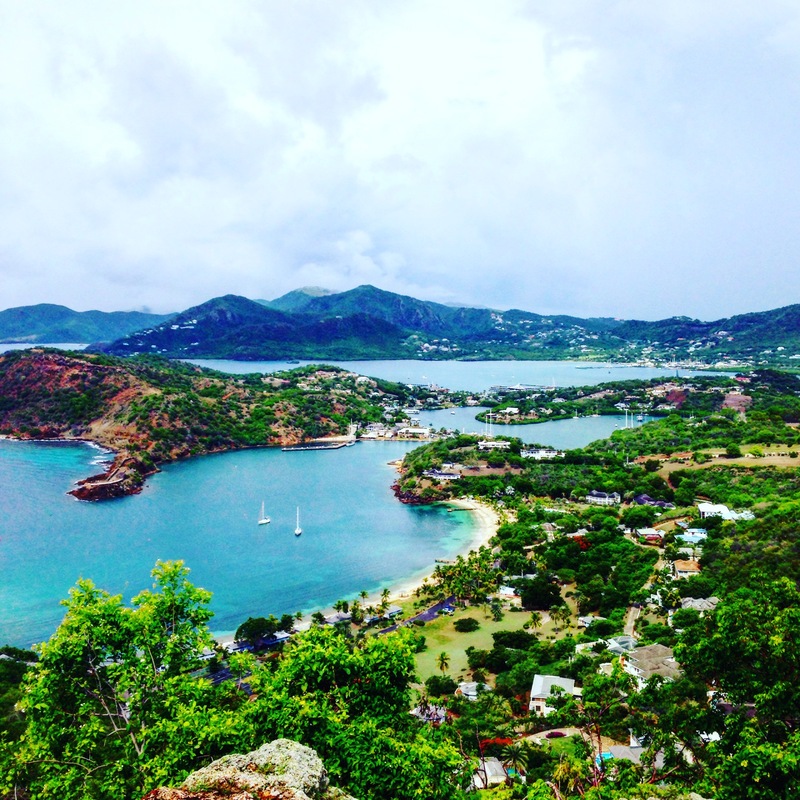 Shirley Heights, Antigua. Part of the historical communication system of the island. Flags and lanterns were used on different points on the island to communicate incoming ships or potential threats. The view from Shirley Heights. Nelson’s Dockyard is the “only continuously working Georgian dockyard in the world” and was like taking a step back in time. 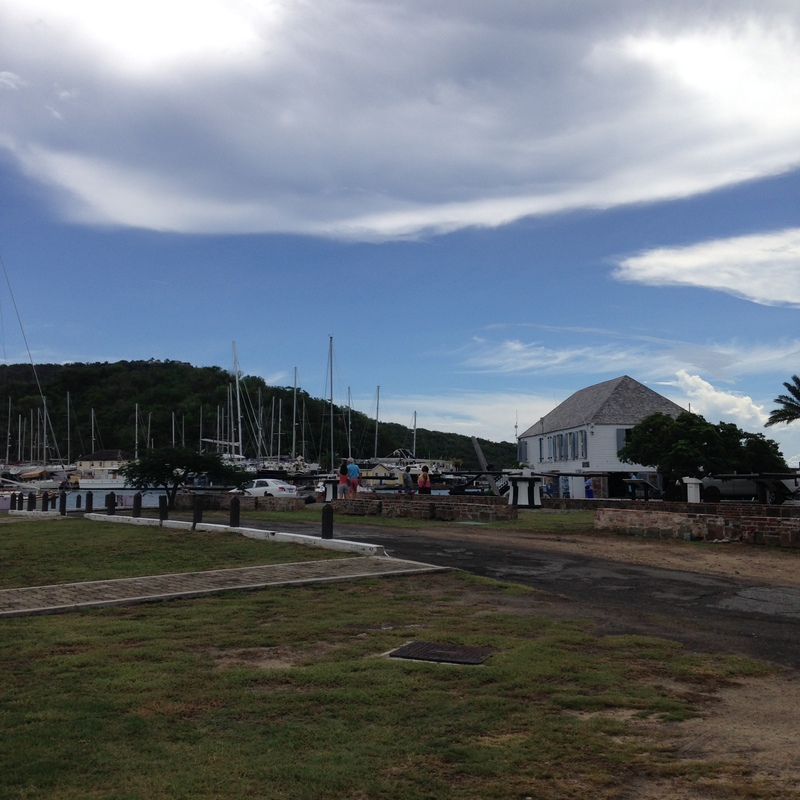 Our next port was St. Lucia. 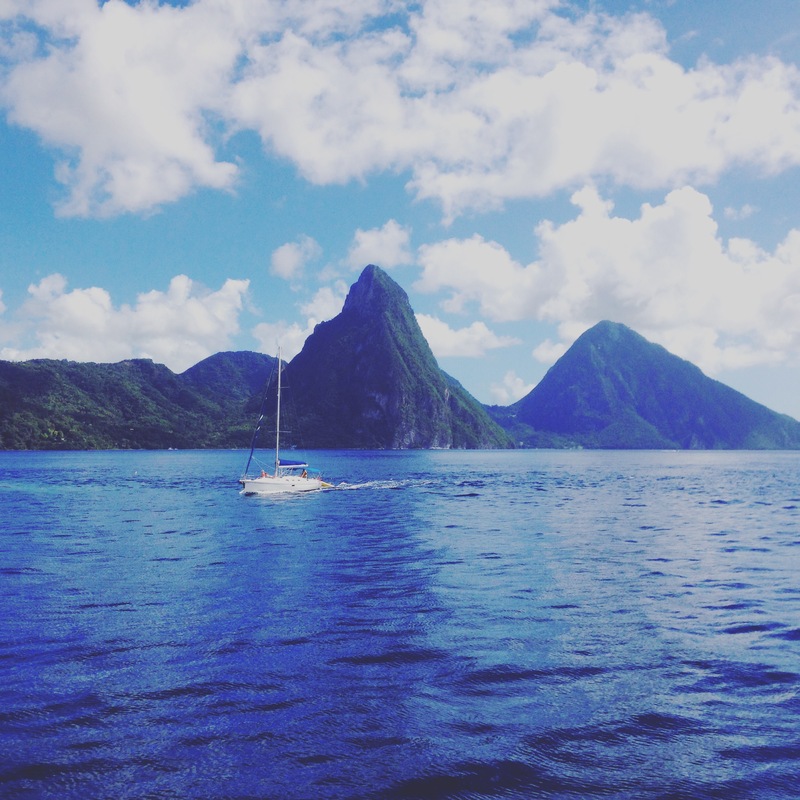 This island has been on my bucket list for a long time; seeing photos of the famous Pitons had given me St. Lucia fever and I couldn’t wait to visit. 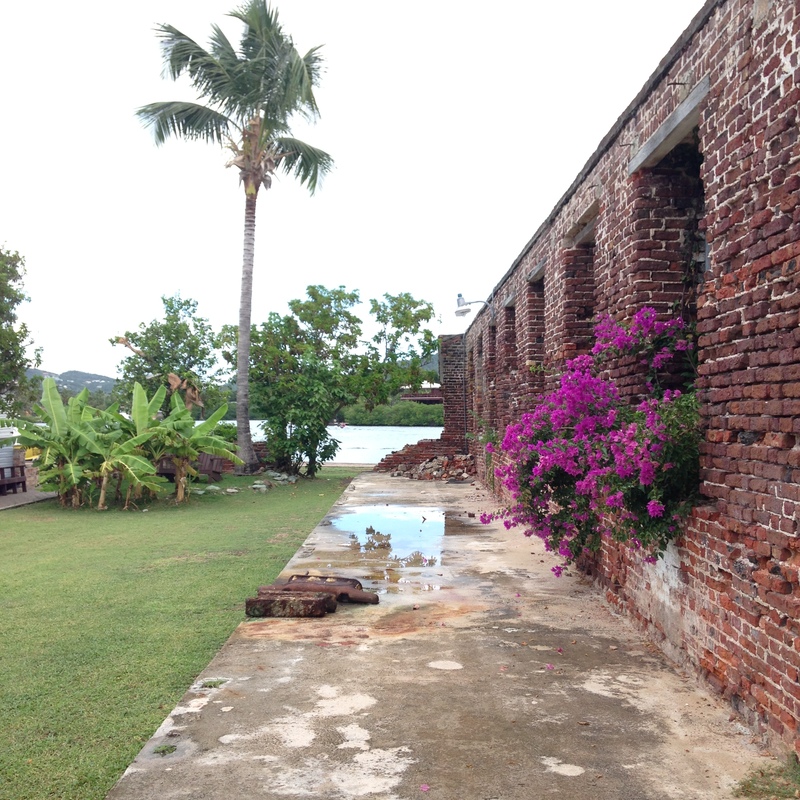 The first thing we noticed about St. Lucia was how clean the dock area was. 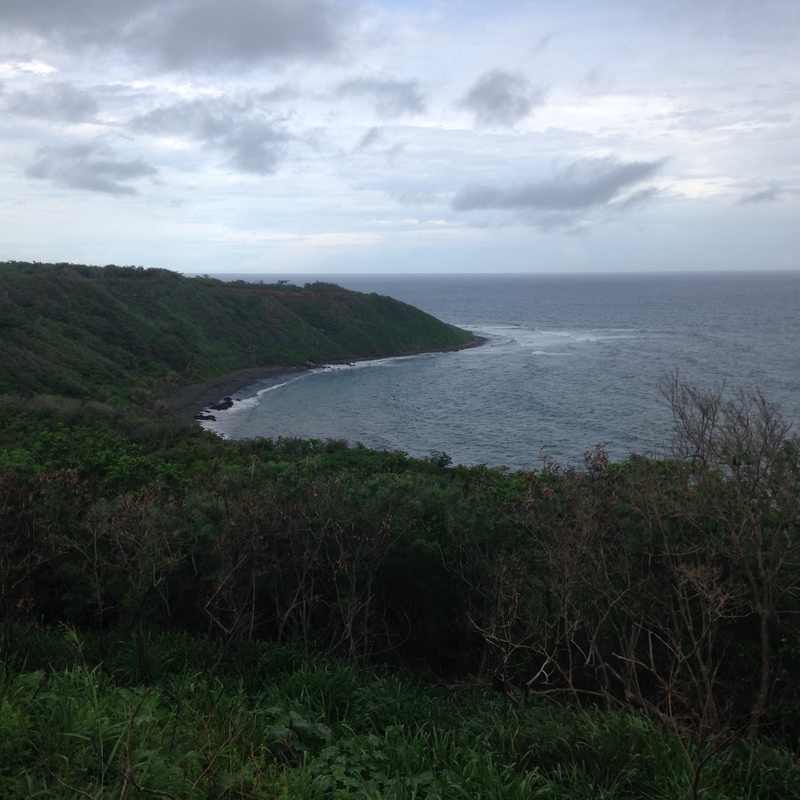 It was impeccably kept – not one piece of trash. 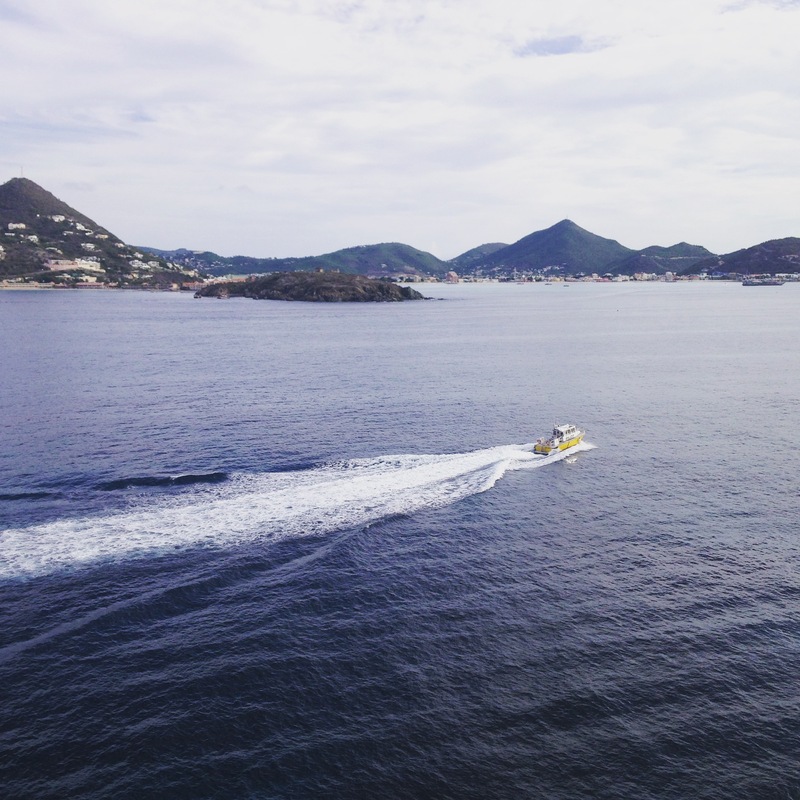 Now, some may say that it was only because we were in a tourist area, but after seeing how well some other ports are kept up, St. Lucia definitely wins for cleanliness. Secondly, everyone was friendly. We have gotten used to a little bit of rudeness here on St. Thomas, chalking it up to just part of its quirkiness. St. Lucians were gracious and glad to have people there to spend money in the shops and restaurants. 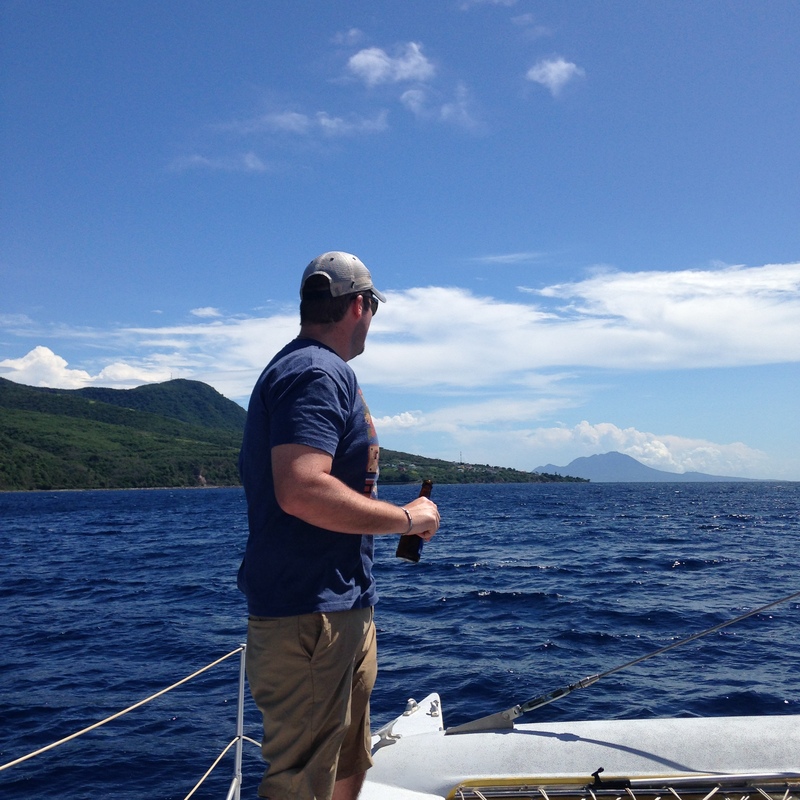 We took a coastal cruise to the southern part of the island near the Soufriere volcano. 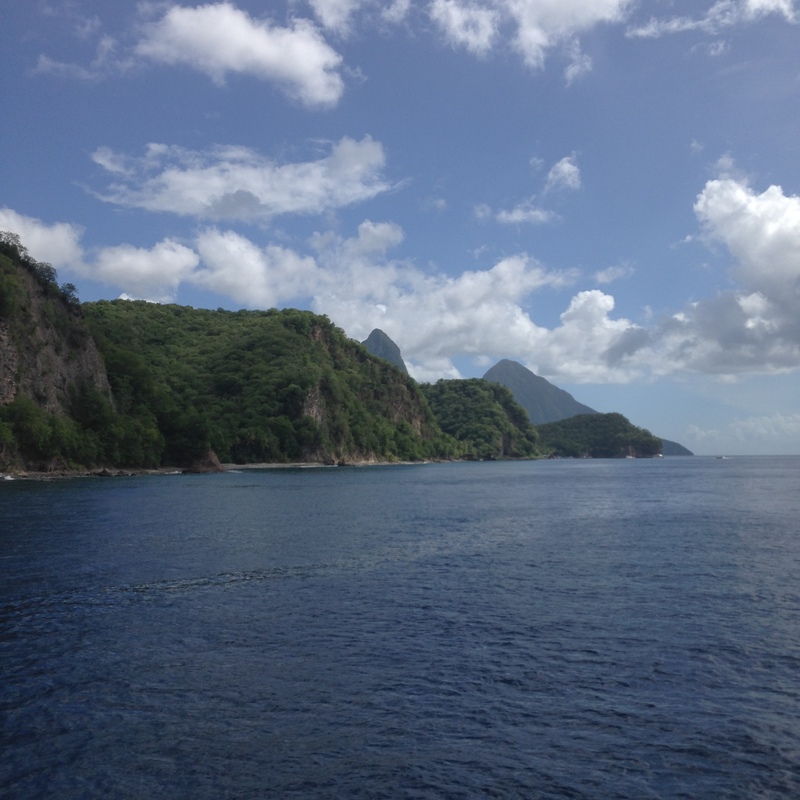 The Pitons rise in the distance and simply take your breath away. 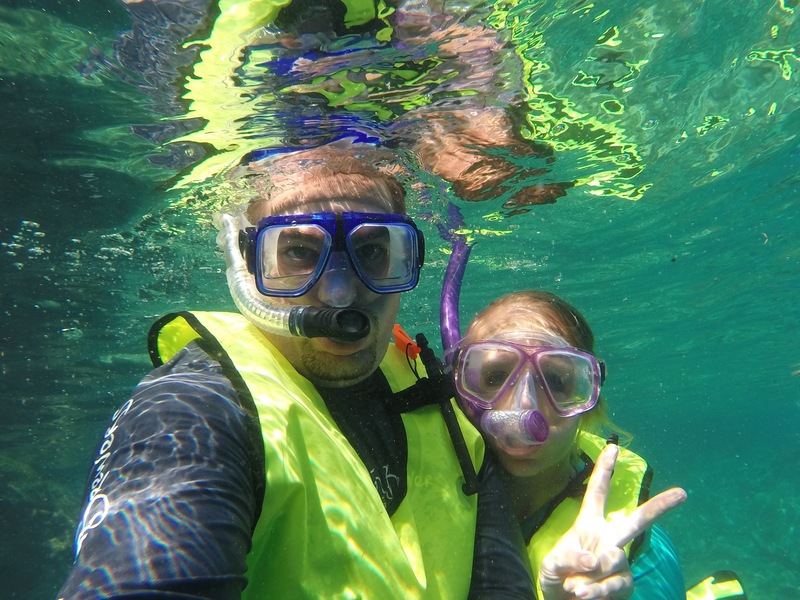 We snorkeled in the bay between the two peaks and had a n awesome day! We then found a cool bar near the pier called Rum Therapy and I made Daniel buy a shirt since he wouldn’t get the “official”-looking polo that said “Rum Therapist” on it. I thought it was a funny play on his profession in the Caribbean, but maybe not. 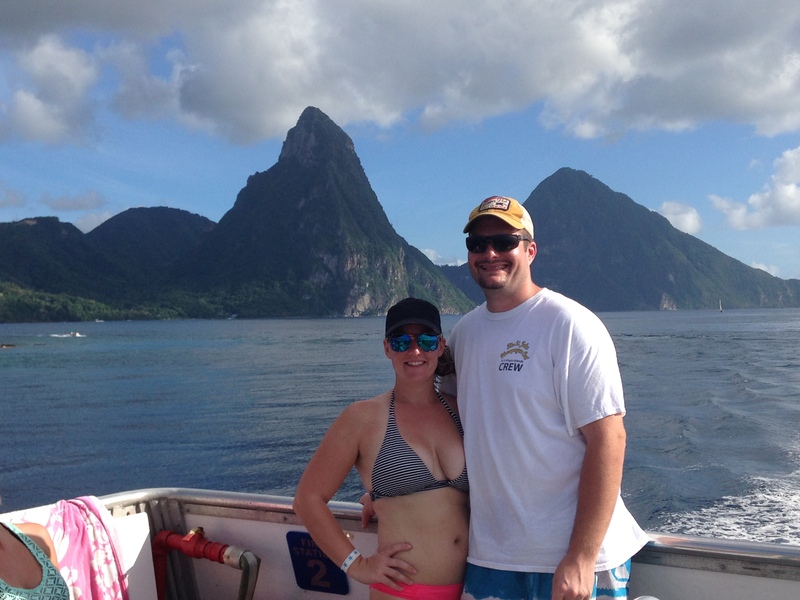 In the end, St. Lucia was stunning and we would come back to visit in a heartbeat. 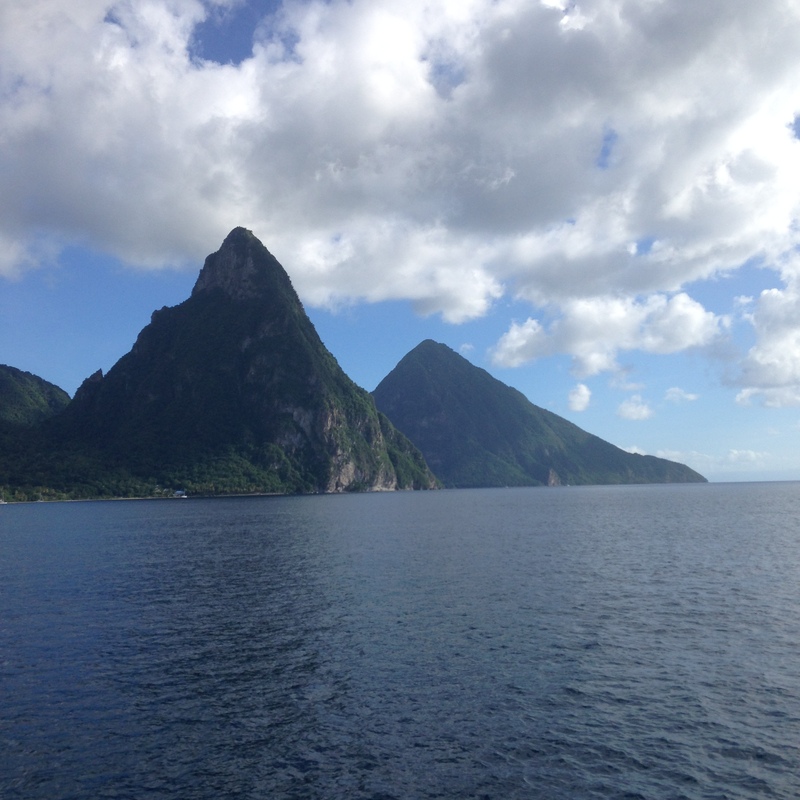 The Pitons peeking out in the distance. It doesn’t look real in person, either. 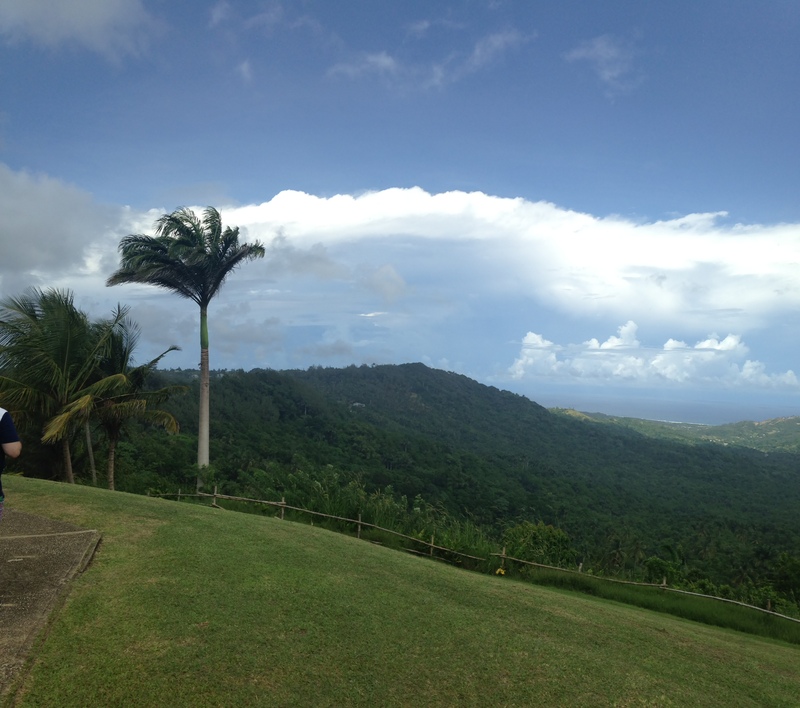 I’m ready to go back to St. Lucia! 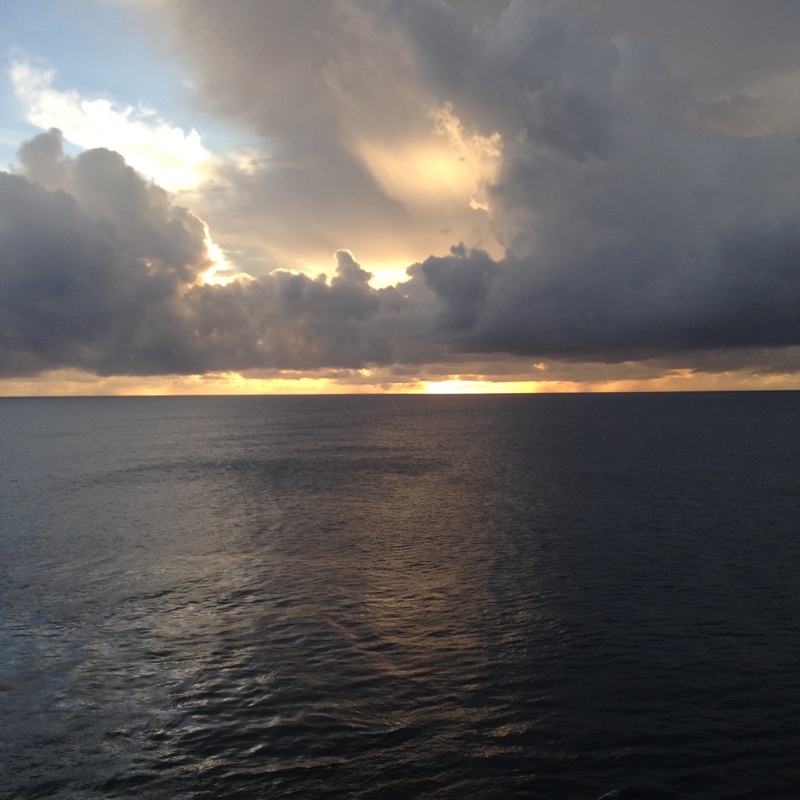 Our last port of call before a day at sea was Barbados. Compared to some of the other islands we visited and St. Thomas, Barbados felt like a metropolis. With nearly 300,000 residents, it was practically buzzing with activity. 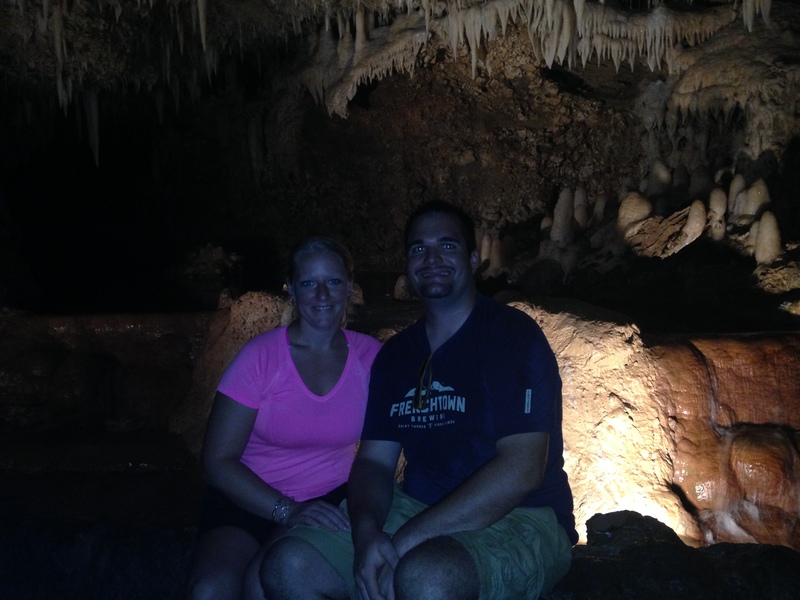 Having not booked a ship-featured shore excursion, we hired a cab for the day and went to explore Harrison’s Cave, known locally as the “heart of Barbados”. 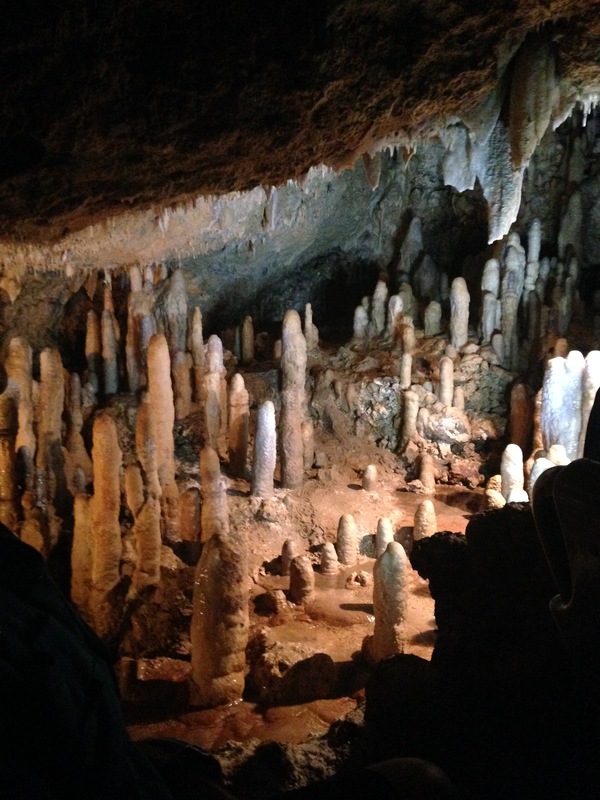 These caves look like they could have been anywhere on earth, but it was surprising to see them in the Caribbean. 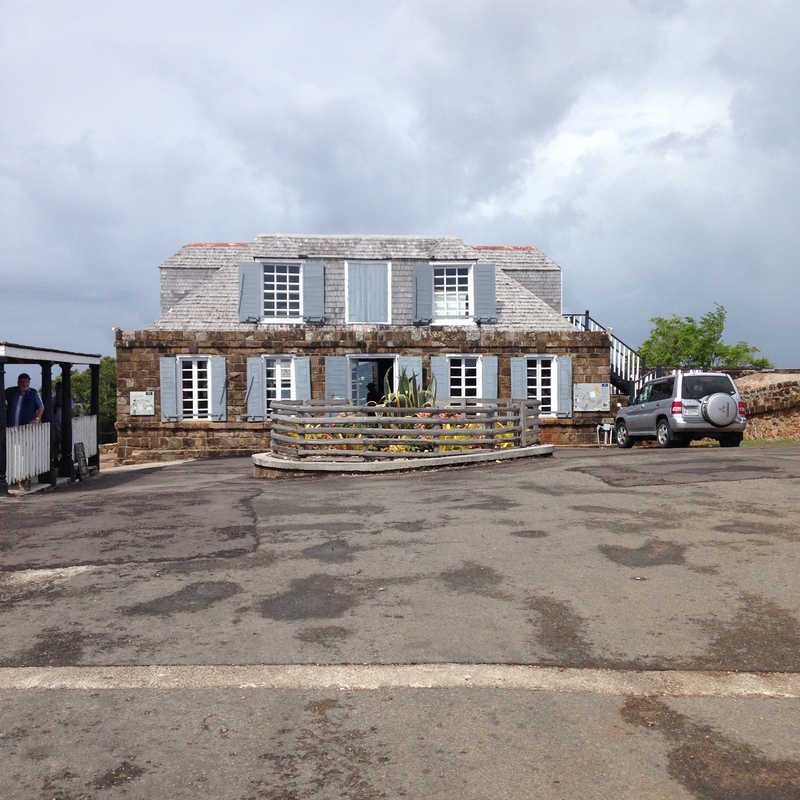 Later we went to the Mount Gay Rum distillery and visitor’s centre. 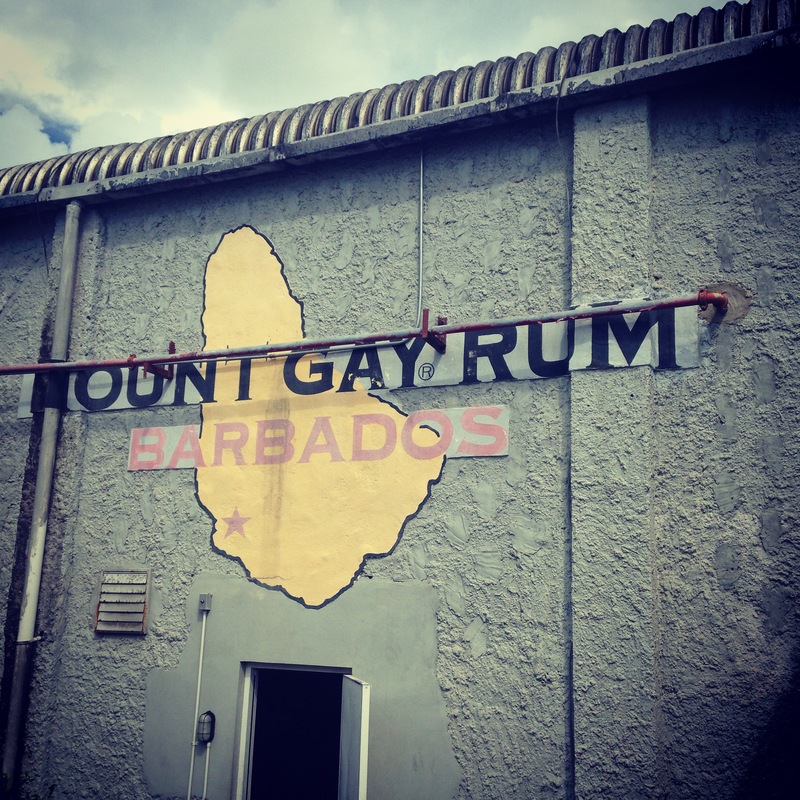 We had originally thought that this visitor’s centre was just a store that was close to the cruise pier and more accessible to tourists, but it turns out that every single bottle of Mount Gay rum comes through this distillery. The actual aging process takes place on a hill in St. Lucy Parish, named Mount Gay by the original owner John Gay. No tourists are allowed at this site, but we got a quick history lesson and tour of the blending and bottling plant before tasting the different Mount Gay Rums. After that we were hungry, so we got some flying fish fingers near the pier. My parents visited Barbados on a cruise more than 20 years ago, and since hearing about it I’ve always wanted to visit. Cross another island off the list! 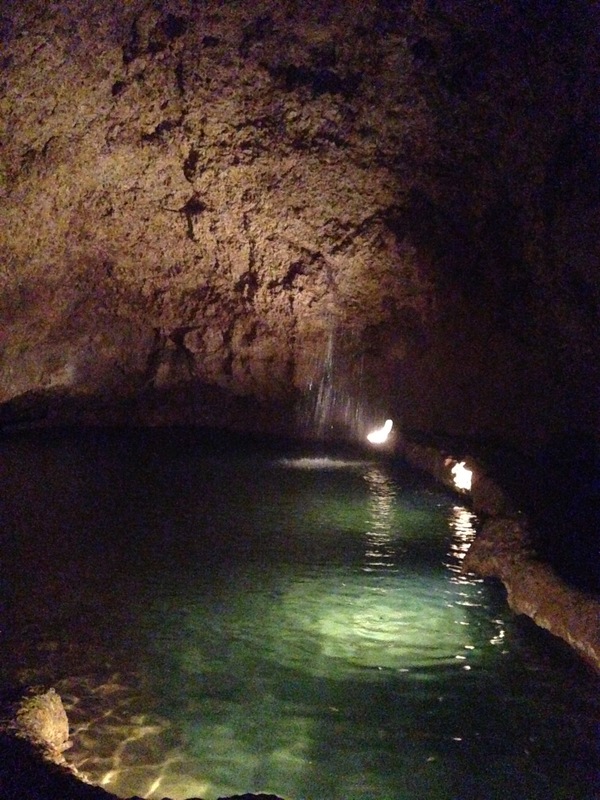 It’s pretty dark inside the caves, but our guide snapped a picture of the Iowans inside. Back above ground at the highest point on Barbados, we looked out to sea over Bathsheba and the “Soup Bowl”, a world-renowned surfing spot. They wouldn’t let us take photos inside the blending and bottling facility, but I can say that the rum was delicious! Everyone needs vacation, even if you live in a vacation spot 🙂 We had an awesome time, and are so grateful to have had the opportunity to see some more of this beautiful part of the world we call home. Stay sunny, friends! This entry was posted in Exploring, Island Hopping and tagged Antigua, Barbados, Caribbean cruise, Caribbean vacation, island hopping, Pitons, Royal Caribbean, snorkeling, St. Kitts, St. Lucia, St. Maarten, vacation. Bookmark the permalink.